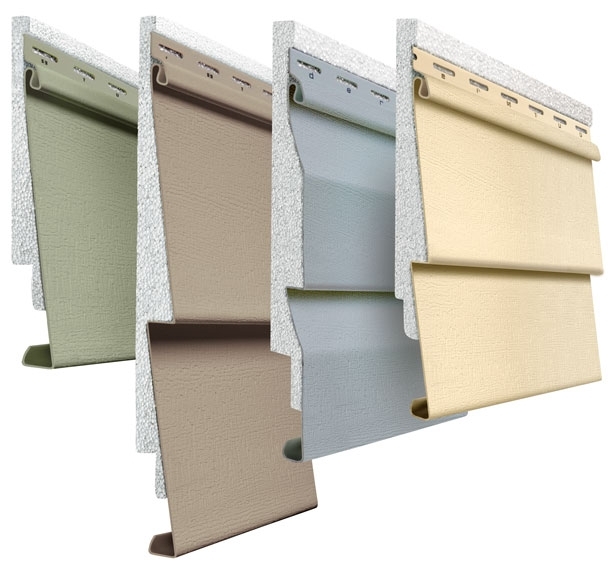 Adding insulated vinyl siding to your house will save you money all year round! Year after year after year!! The additional foam insulation on the vinyl siding adds 'R' value to the walls of your house and makes it more energy efficient saving you money year around both in the harsh winter and the hot summers. Since adding insulation increases the 'R' value of your exterior walls thus saving money on energy bills, the only reason you would not use insulated siding would be the cost associated with it. If it fits within your budget then you should use it. 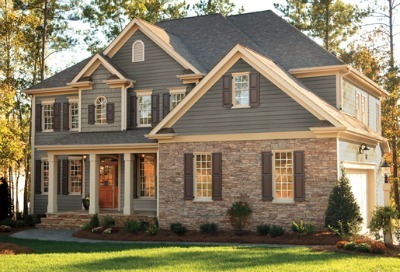 Always ask your local contractor for suggestions on which insulated siding is best for your house and your budget. Your contractor will be glad to give you options and prices. Siding on right has factory applied foam insulation. Note the insulation attached to the back of the insulated siding. This increases the 'R' value of the siding and your walls. It also dampens noise and makes the siding more rigid. Insulated siding is siding that has factory installed insulation attached to it by the manufacturer while it is being made. It cost a little more than standard vinyl, sometimes as much as 20% -25%+ more. But it keeps on saving money during cold harsh winters and steamy hot summers year after year. Most contractors agree it is well worth the extra cost because it saves on energy costs. Adding the extra insulation can help to reduce your homes energy costs in all climates. Another great advantage of having insulation added to the siding is that it acts as a noise barrier. It greatly dampens outside noise like traffic, noisy kids, etc. 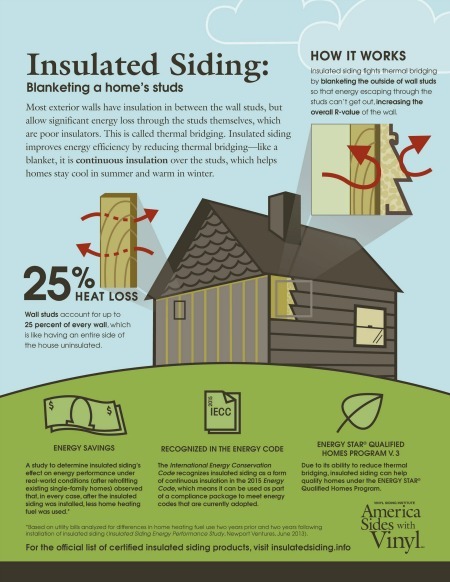 The Vinyl Siding Institute has a lot of good information on insulated vinyl sidings and how they can save you more money. Click here it go to Vinyl Siding Institute Insulated Siding page. 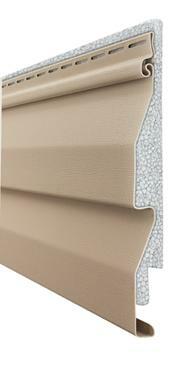 Insulated Vinyl Siding 2.0 - 3.5 most energy saving! As you can see from the numbers above, insulated siding is a great way to add additional R value to your existing walls. To see how much energy savings you can get by upgrading standard vinyl siding to insulated siding and to see houses loose heat through walls....Click Here How It Works. If it is in your budget you should consider upgrading to a high grade of insulated siding. It may cost a bit more up front but will return the extra cost by saving you money on heating and cooling year after year. Also, insulated siding is more rigid and looks better on the house than standard sidings. If your house is old and has some imperfections on the outer walls, insulated siding is the perfect product for you. We recommend using an good quality insulated siding. Ask your contractor to show your some different styles and types. The added strength and thermal benefit of rigid foam insulation is like wrapping your family in a cozy blanket. Inside you will enjoy a quieter, more comfortable home. Outside you will appreciate the authentic look of natural wood, enhanced by distinctive colors and finishing touches. Some sidings are wind tested to hurricane force winds. Who Sells Insulated Vinyl Siding? 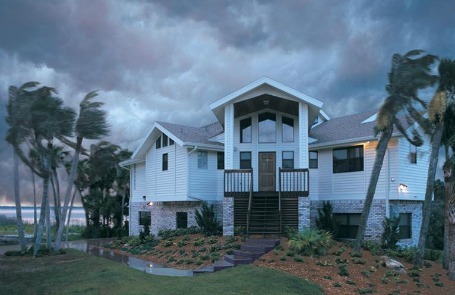 If you live where the summer rains are harsh, winds are strong then Cedar Boards siding may be the right product for you. Note here how the homeowner has used Cedar Board siding with natural stone. A great look. Very cozy and warm look. And strong enough to withstand very harsh winter weather. 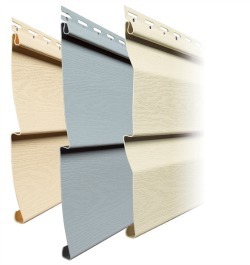 Norandex is one of the leading siding manufacturers and available through local contractors in much of the country. To see more of Norandex's Insulated Sidings ...Click here.